Baragatan sa Toronto July 28, 2007. L-R Nong Ted Eleazar a.k.a. Bancalanen, Mandy Perez a.k.a. Banbanen, Diony Garcia a.k.a. Kutapdi, Jomarie Ponce de leon a.k.a. Bulalo, and Tay Tito Cardona. Just tap the image to see it’s property on Flickr. 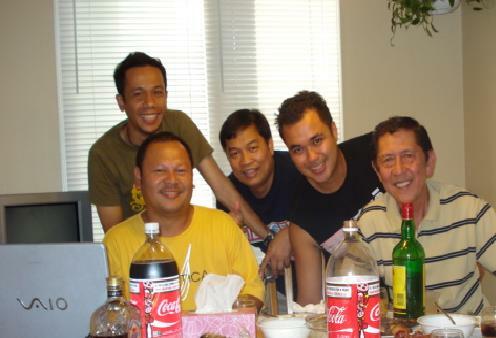 This entry was posted in Photos on July 28, 2007 by Cuyo Press.